Jasper’s most recent expansion into the southwest region has created several lucrative career opportunities ranging from sales positions to support team members. The company offers competitive pay along with unbeatable health benefits. 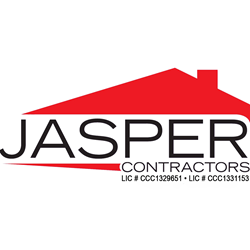 For additional information about Jasper Contractors or the services the company provides, visit http://www.JasperRoof.com. To visit the company’s career site, go to http://www.JasperCareers.com or call (407) 979-4221. Current opportunities in Naples are listed on the Openings page.